He smelled like alcohol. He stammered out his name (Reginald, I think) and announced “I’m here for Jesus. I’m here for Jesus”. “That’s why we are here, too”, I said. PTM was sponsoring a live nativity scene as a gift to the community. 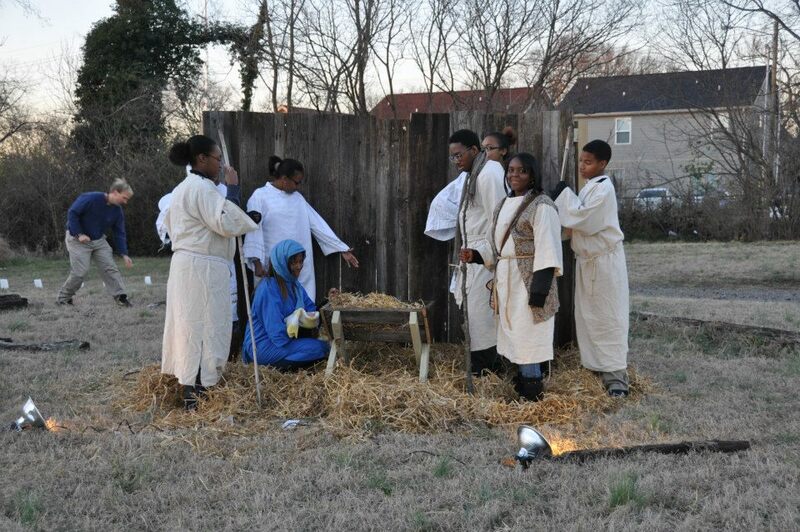 We placed the manger scene on a vacant lot next to a busy intersection with our Calvin House students dressed as the “holy family” from the first nativity. To the side we had a table with hot chocolate and hot wings (just like they had in Bethlehem). We also had a path lined with luminaries and Christmas music playing. Our hope was that those driving by and those loitering at a nearby corner store would be reminded of one of the forgotten images of Christ—the baby in a manger who came to be our King. Thank you for sharing! Always enjoy sharing what Chan writes. Happy weekend friend!